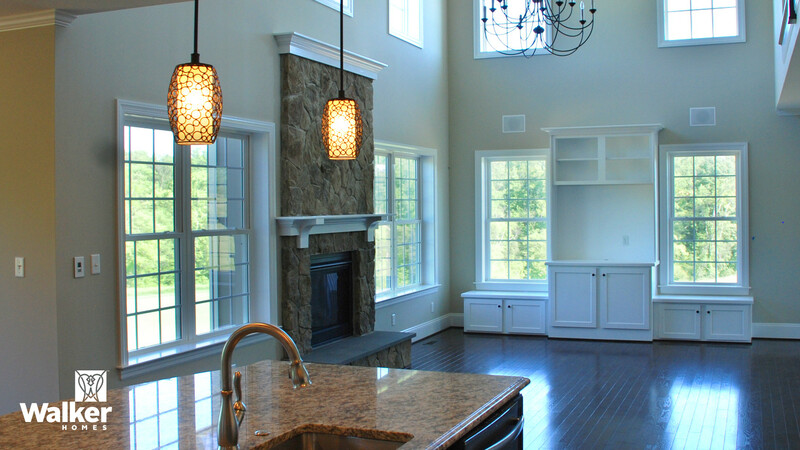 From the Foyer of The Chesapeake you have a view into the Living, Dining, and Family Rooms. It offers an exceptionally large, open feeling. Just past the striking, two story, main stairs, is the spacious Family Room with a dramatic window wall giving you a beautiful and bright connection to the outdoors. Also featured in this gathering space is a handsome fireplace flanked by more windows or built-in bookcases. To your left is a Kitchen set up for a serious cook–high-end appliances, custom wood cabinets, granite countertops, and lots of storage spaces. The adjacent Sunroom doubles as a Breakfast Area. Some clients have opted to add a Screened Porch off of the Sunroom. A convenient Powder Room and Laundry are tucked away just off of the Kitchen as is an entrance to a three bay garage. The second floor has four bedrooms with big closets. The spacious Master Suite has a large walk-in closet. The Master Bath has his and her vanities with built-in lighting, brushed chrome faucets, whirlpool tub, and a separate tile shower. The Chesapeake’s Kitchen faces into a Sun Room with a large bank of windows. 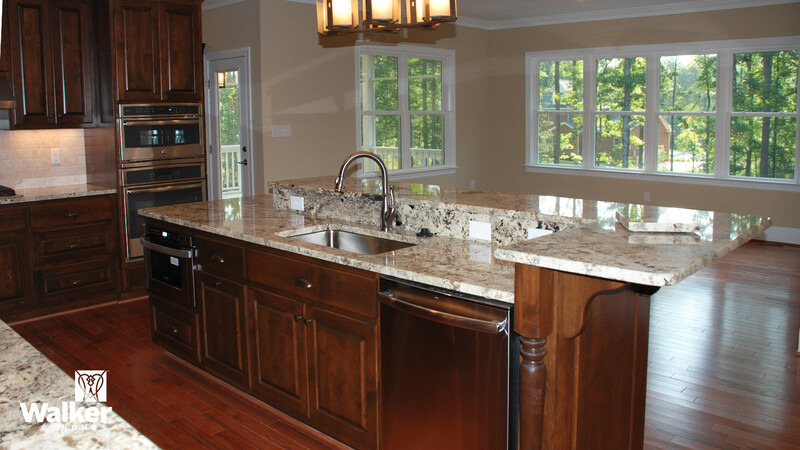 To the right of the Chesapeake’s Kitchen is the two-story Family Room. 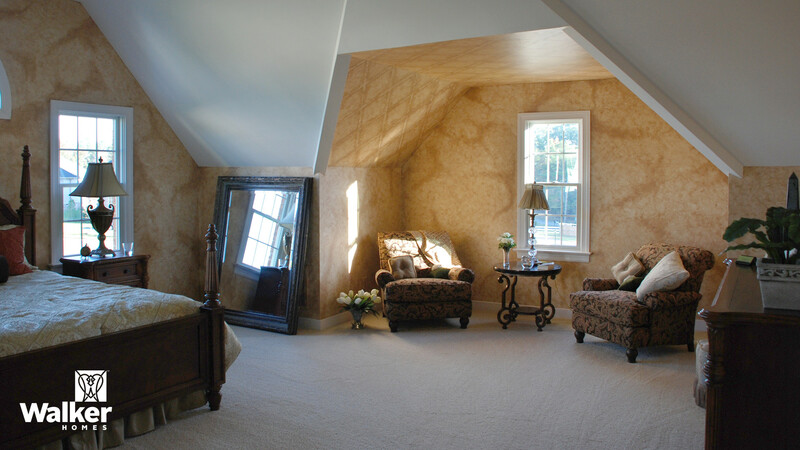 The Chesapeake’s Master Bedroom features its own sitting area with a distinctive sloped ceiling. 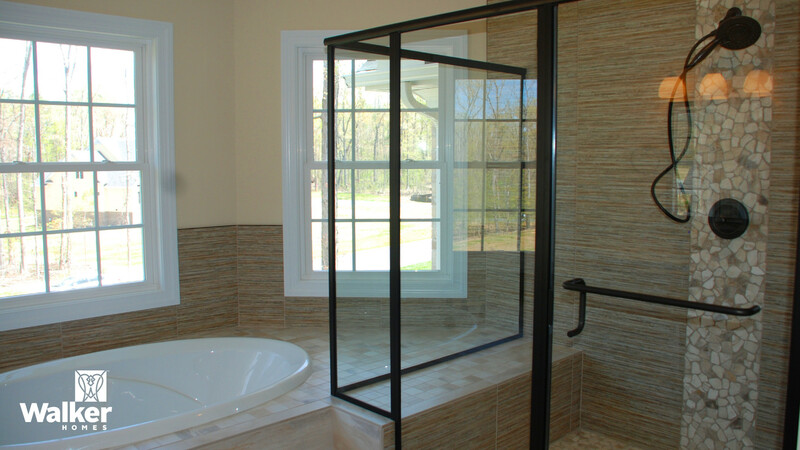 This version of the Chesapeake’s Master Bath has spa-like amenities. 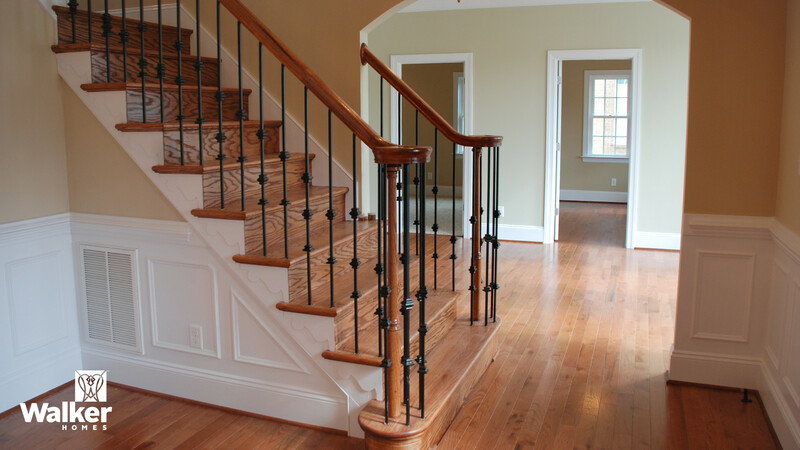 The Foyer of the Chesapeake can be built out with all manor of staircase treatments. 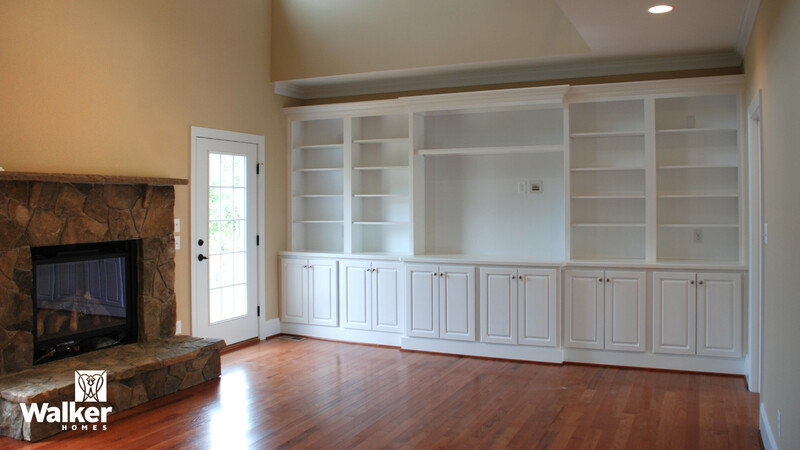 This variation of the Chesapeake’s Great Room offers a wall of built in cabinets and shelves adjacent to a stone fireplace. 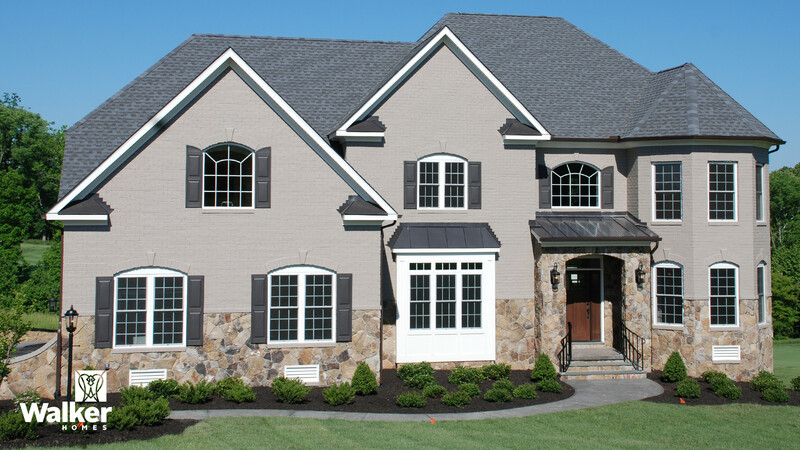 The exterior of the Chesapeake can be as varied as this white on white brick or the warm brick and stone version below. 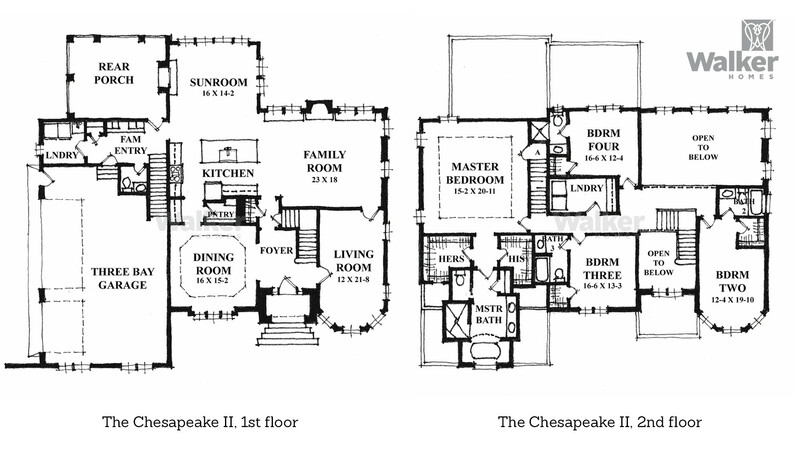 Here’s a English tudor version of the Chesapeake’s exterior elevation. 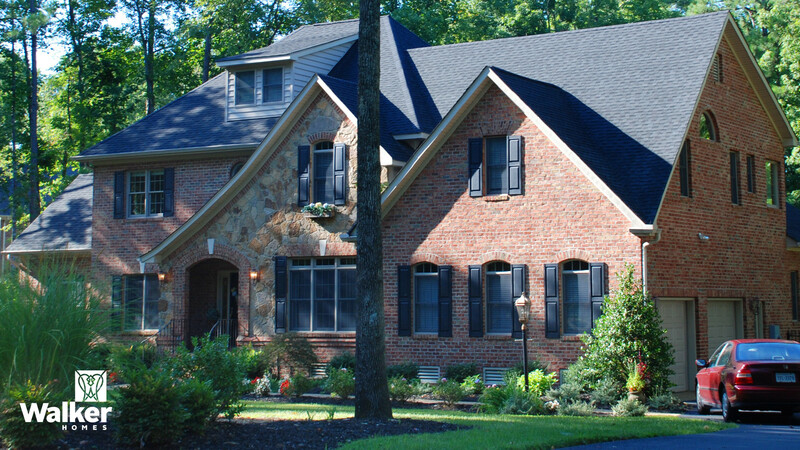 Another distinctive variation of the Chesapeake elevation.